Here are two current funding opportunities, which are due in the next few months. We are currently accepting and working on applications for both programs. Contact us directly to express your interest! The United States Department of Agriculture announces approximately $14 million in competitive grant funds through the Value-Added Producer Grant (VAPG) program. The grants are to be used for economic planning or working capital activities for the processing and/or marketing of value-added agricultural products. Independent producers, ag producer groups, farmer or rancher cooperatives, majority controlled producer-based businesses are all eligible to apply. Applications are due October 15, 2012. North Central Region Sustainable Agriculture Research & Education (NCR – SARE) is seeking pre-proposals for research, education, and on-farm demonstration projects that explore and promote environmentally sound, profitable, and socially responsible food and/or fiber systems. The emphasis is on outcome-based projects that benefit farmers and explore new sustainable farm practices. Projects should be directed toward research results that will translate quickly into farmer benefit, and the farmers, extension staff, and other stakeholders should be involved in planning project content. Pre-proposals are due November 9, 2012. This Photo Friday we are featuring a preview to Sarah Aubrey's upcoming presentation that will be held next week at the 10th Annual Indiana Conference on Energy Management on Tuesday, August 28th at the Westin Indianapolis. Her topic "Navigating the Indiana and Federal Agency Funding Process" will take place from 2:30 - 3:30 P.M. EST on the first day of the conference. For more information, visit http://www.indianachamber.com/media/pdf/EnergyConfBrochure2012.pdf. Last night was the final presentation of Central Indiana Food Hub Feasibility Study at the Hancock County Public Library. Thank you to everyone who attended and provided feedback. We had about 40 attendees as we presented the feasibility study results. This week, USDA announced $14 million in grant funds through the Value-Added Producer Grant (VAPG) program for economic planning or working capital activities for the processing and/or marketing of value-added agricultural products. Applications are due October 15, 2012! Also open this week, is the North Central Region SARE Research and Education Grant call for pre-proposals for research, education, and on-farm demonstration projects that explore and promote environmentally sound, profitable, and socially responsible food systems. Pre-proposals are due November 9, 2012. We are currently accepting new clients to apply to these programs. Call us today at (317) 996-2777 for more details or if you are interested in applying! MONROVIA, Ind., August 13, 2012 – The final draft of the Central Indiana Food Hub feasibility study will be published and presented to the public on Tuesday, August 21, 2012 from 7:00 to 8:30 P.M. EST at the Hancock County Public Library. The study will be presented in the GBC Community Room at 900 West McKenzie Road, Greenfield, IN 46140. General public is welcome. Producers, stakeholders, and those who have taken part in the study are encouraged to attend. The agenda will include a thirty minute presentation on study findings followed by a panel discussion on local foods and the impact of a food hub in Central Indiana. The study was conducted by Prosperity Ag & Energy Resources and the panel discussion will be moderated by Prosperity’s owner, Sarah Aubrey. For more information on the study’s results or about the presentation date or location you may contact project head, Roy Ballard, Extension Educator – Ag & Natural Resources County Extension Educator by phone (317)-462-1113 or email rballard@purdue.edu. More information on Prosperity can be found at www.prosperityagenergy.com. This past Tuesday, Sarah and other agriculture industry representatives joined fellow Lugar Series alumna and Lt. 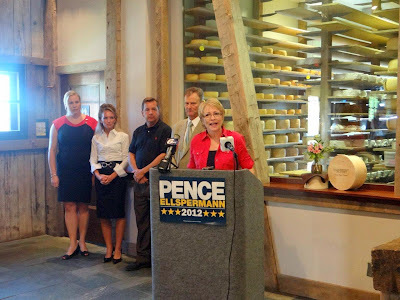 Governor candidate Sue Ellspermann as she unveiled the latest Pence policy proposal for growing Indiana's agricultural sector. 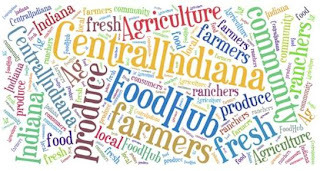 This Wednesday we are hard at work on finalizing the Central Indiana Food Hub Feasibility Study, which will be presented to the public on August 21, 2012, 7:00 P.M. EST at the Hancock County Public Library. Watch this video for an update on the feasibility study with Sarah Aubrey, Principal, and Sarah Thomas, Intern. 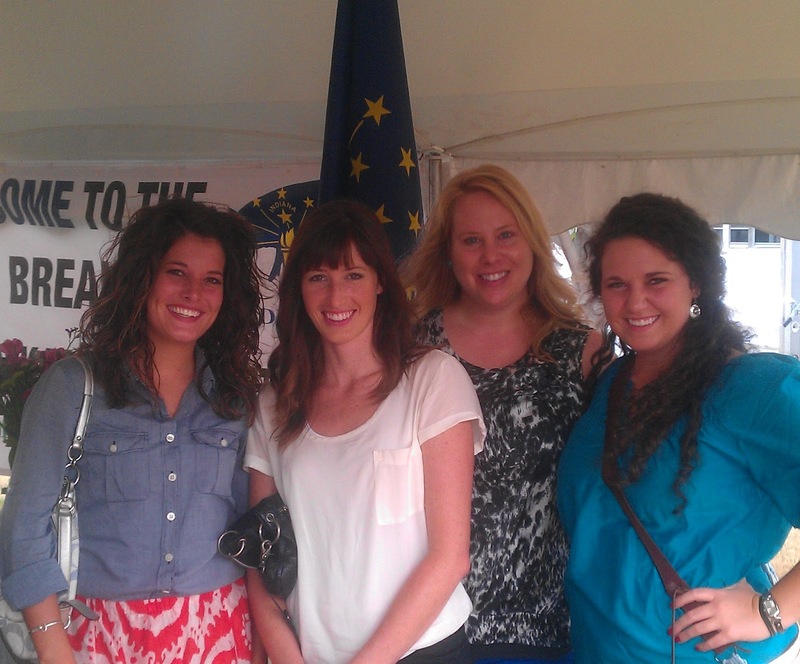 Today is the opening day at the Indiana State Fair, and Prosperity's team took part in the festivities by attending the Annual Ham Breakfast hosted by Indiana Pork and the Indiana State Fair. Prosperity joined the Governor, Lt. Governor, pork producers, and friends of the industry this morning to support Indiana agriculture and the Great Indiana State Fair! 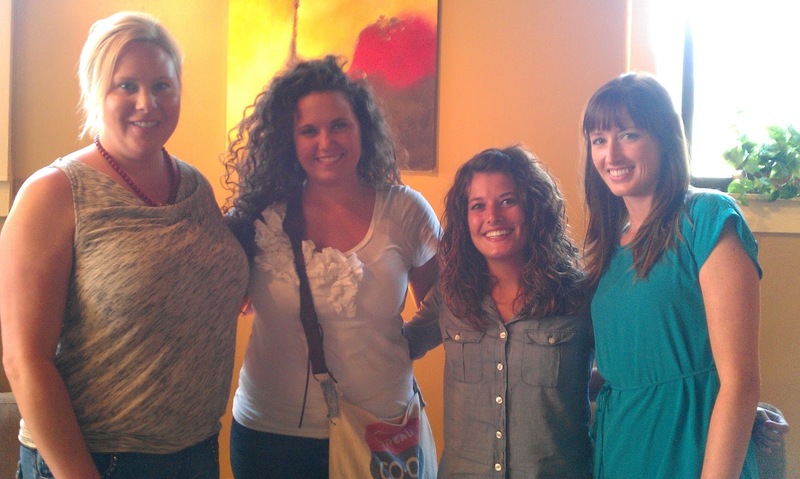 Yesterday was Prosperity Intern, Sarah Thomas' last day. The staff took a break from the office atmosphere to have lunch at a local cafe. It was a great way to spend the last day with the whole summer crew. We will miss having Sarah, and we wish her the best of luck as she finishes her senior year in elementary education at IUPUI! Read more about Sarah Thomas in her last post.